Tommy is our Call Out and Service Engineer. Although Tommy might have the smallest van in the fleet, he has a big role within the team. 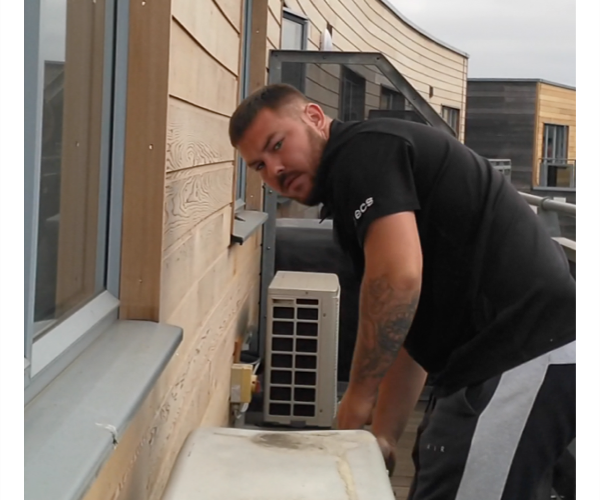 As one of our responsive call out engineers, he is responsible for servicing, repairing and maintaining your Air Conditioning System. How often do you service your air conditioning? Did you know that a blocked up filter can make you sick? When Summer is in full swing in London and the weather is nothing short of a tropical heatwave a lot of us suffer from pollen attacks, red eyes, stuffy noses and headaches. This can interfere with your day to day life and take the fun out of the summer season. Does the summer weather affect your lifestyle? Then put a stop to it now! A clean Air Conditioning system helps to eliminate external allergens such as pollen, therefore making your air cleaner and your head a little less congested. What are Tommy’s main roles? Tommy’s main role within the team involves diagnosing faults and repairing systems on call outs, ranging from a leaky condensate pump to faulty PCB board. But that isn’t all he has in his toolbox, as an F-Gas qualified engineer Tommy has no issue and is very competent when it comes to your Air Conditioning installation. With a role as diverse as his skill set, Tommy as with all our responsive call out and service engineers is ready for any challenge that lays ahead of him! Is your System in need of a service? Put him to the test and contact us today!